911 Restoration of New Orleans knows that our specialists are all highly trained, IICRC certified and capable of taking on any challenge that comes in their direction. 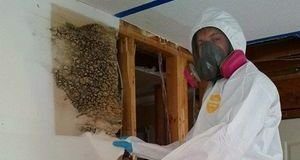 No matter what the restoration challenge entails, from flooding induced water damage, to backflow valve caused sewage issues, to fire, smoke and even mold recovery needs, our passionate and dedicated professionals are capable and ready to take it all on. Having lived through hurricane Katrina, our technicians are dedicated to making sure that when a disaster of any magnitude strikes we provide a fast response. This is why our specialists will arrive within 45 minutes to any job site. We want to get our experts started on repairing the damages as quickly as possible. In addition to the speedy response time that our pros provide to the New Orleans area, we are also capable of implementing quick action from specialists who are available 24/7/365, standing by with the latest water removal technology. Knowing about 911 Restoration of New Orleans and our ability to save homes from anything increases the chances of your home surviving any kind of weather event, so do not hesitate and call us today! When you live in New Orleans you have to know how to protect yourself against hurricanes. Our extensive experience in hurricane damage restoration has led us to figure out some tips that could help prevent severe damage on your home during such an incident. Put plywood over all of the windows in the home. Tape around all edges of windows with duct tape. Trim tree branches and cut back over grown bushes in order to minimize plants from crashing into the home. Remove loose objects from the lawn so they won’t become airborne and break the windows of the home. Pick up all soft and fragile items from low places in the home and store them in high places, such as on shelves inside closets. Take the bottom drawers out of your dresser and place them on top of the dresser to prevent them from getting wet. Keep all possessions more than three feet high to keep them out of reach of any water. Don’t let your home fall victim to the effects of a flooding disaster of any sort. Contact our water damage restoration experts with 911 Restoration New Orleans for help today! Not only can our technicians take on water damage of any kind, but we are mainly here to give you hope and comfort during these mentally taxing events and times. One of the many ways that our crews make sure our customers are taken care of is by walking them through the entire restoration process before the work gets started. We will then give you a free water damage estimate, giving you all the info beforehand. This increased level of attention gives our customers the ability to feel as connected with the process of restoration as they are with their property as a whole. In fact, our staff at 911 Restoration of New Orleans will even take on all of the insurance claims paperwork that your restoration situation requires. We believe that our clients shouldn’t have to bother with conversing with their insurance provider at the same time as dealing with the challenges presented to them by a disaster. 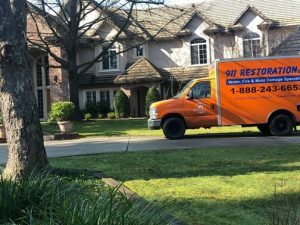 Call our water damage restoration New Orleans experts with 911 Restoration New Orleans so we can begin to give you a fresh start in your lovely home, or gorgeous office today!